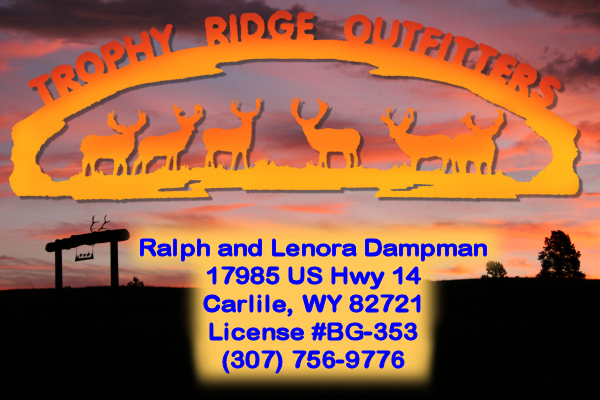 Another great hunt this year in Carlile Wyoming with Ralph and Lenora Dampman of Trophy Ridge Outfitters! I was joined by my longtime friend and business partner Glenn. 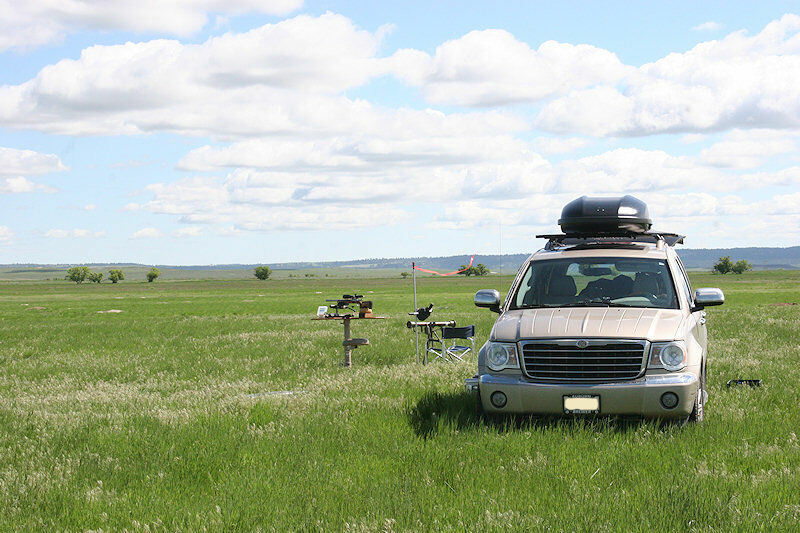 The weather was good, and we had four excellent days of shooting. 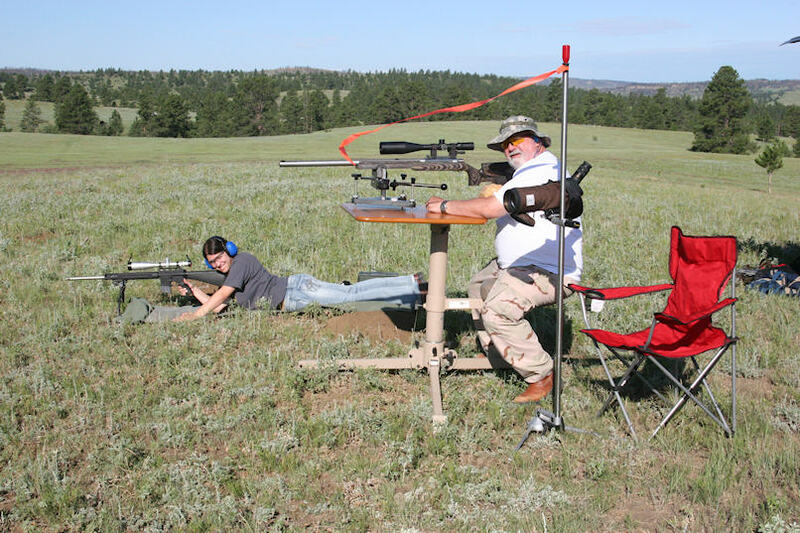 The shooting ranged from a couple hundred yards out to about 1050 yards, and all ranges in between. We shot a BAT 6 Dasher, a 260 AI, and a BAT 6.5-284 for long range, as well as a Rock River Arms AR-15 for some shorter range action. As usual, the TRO accommodations and meals were excellent, and Ralph had scoped out some excellent dog towns for our shooting pleasure. 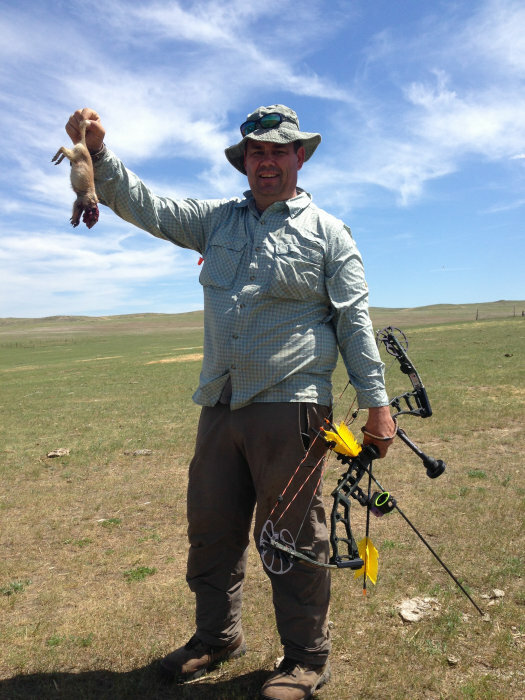 The Prairie Dog hunts at TRO are semi-guided; they take you out to the location, and make sure that you have all that you need. 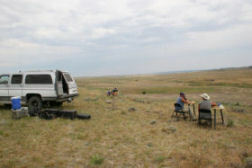 Food and water are supplied in the field, and portable benches are available for your use if you need them. 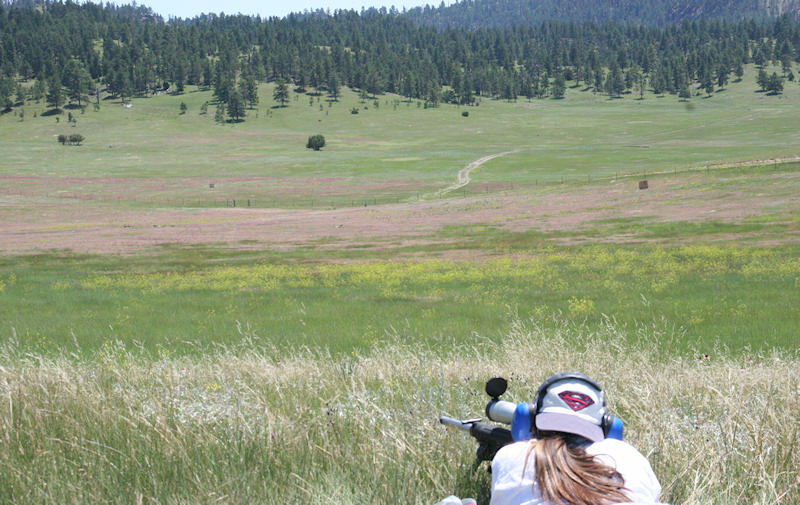 All the shooting is on private land, and Ralph has lots of great locations for you shooting enjoyment. 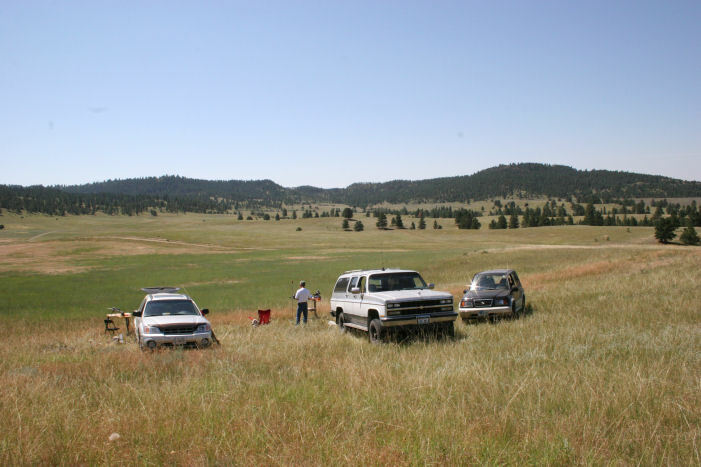 This town was mostly located in a recently plowed field, with some parts of the town located at 1050 yards from our shooting location. 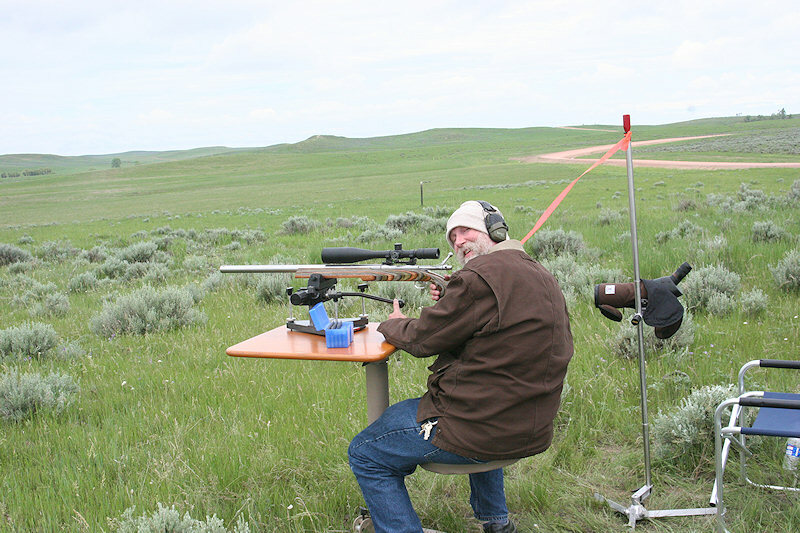 Here is Glenn getting ready to shoot at the 1050 yard dogs using the 260 AI. 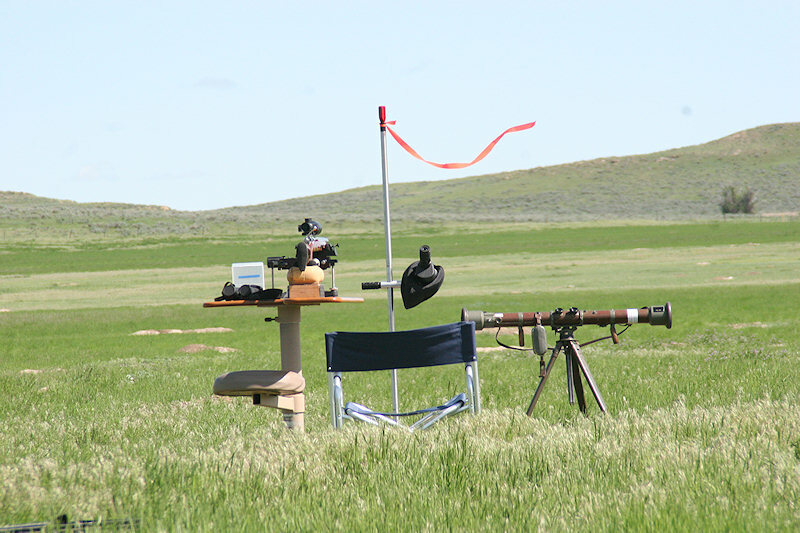 We were shooting moly coated 130 grain Berger VLDs, Ramshot Hunter powder, GM215M primers, and Remington brass. Good weather again, and an excellent dog town on a flat river flood plain. Tall grass, but tons of dogs, at ranges out to about 850 yards. 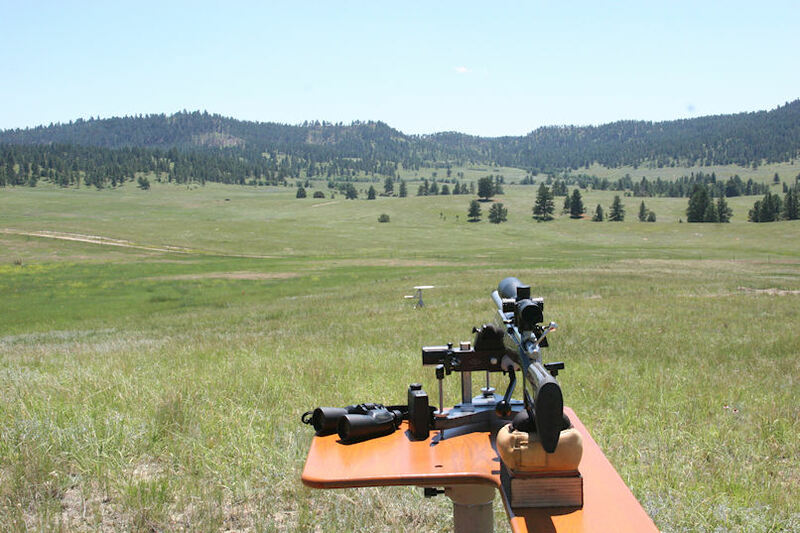 We started with the 6 Dasher, using 105 grain AMax bullets over 33.6 grains of RL-15 and a CCI 450 primer. The AMax bullets are a good choice for this application as they are a lot more frangible than the 105 grain Berger VLDs, and definitely plant the dogs well when hit squarely. 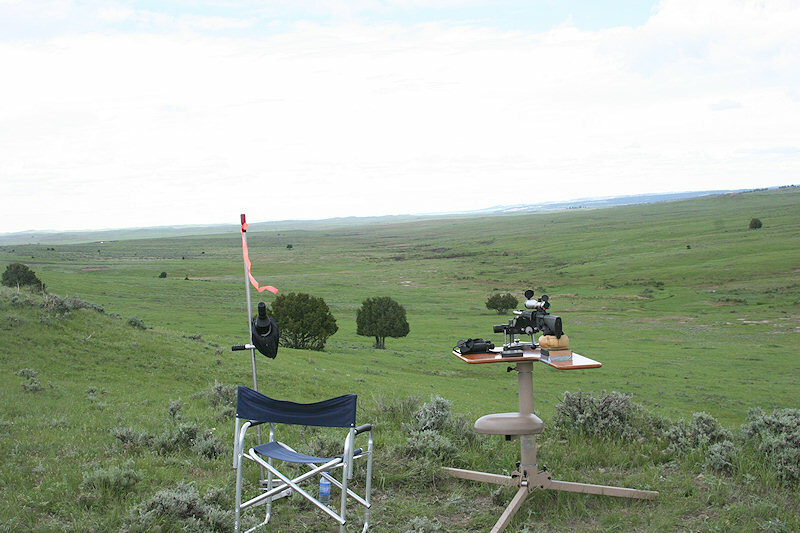 Here was our setup with the 6 Dasher. 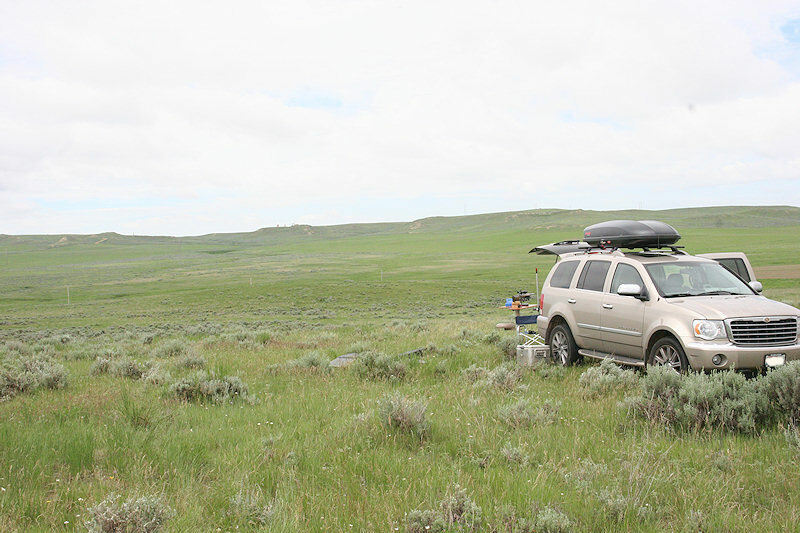 We used the Wild optical rangefinder to calibrate landmarks in the field to make more rapid elevation adjustments. The Leica Geovid ranging binoculars worked great on most items, but flat mounds in tall grass at over 600 yards was too much to ask from them. The bench is a BR Pivot, by the former Varmintmasters LLC. They are still sold under the Caldwell brand. 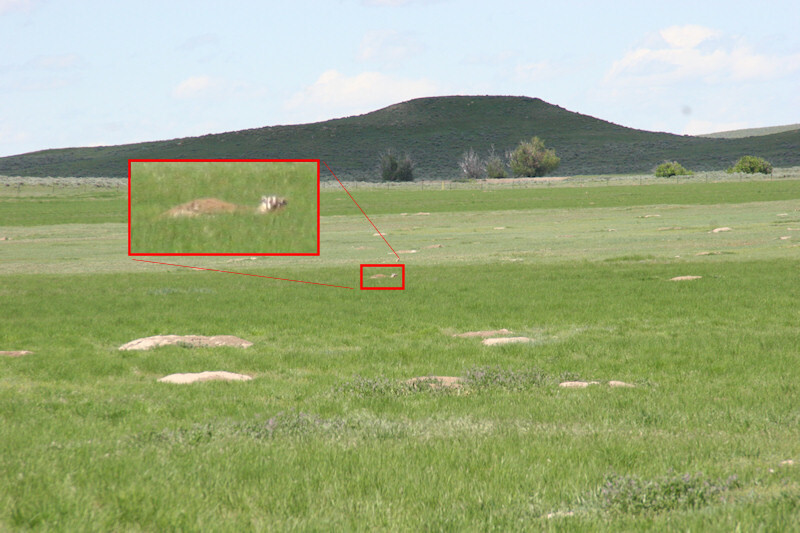 During shooting, we watched a huge badger working the field in search of a late afternoon snack. The grass in this picture is over 12 inches tall, making this a large specimen. We watched him dig (impressive!) for at least 10 minutes before he disappeared. 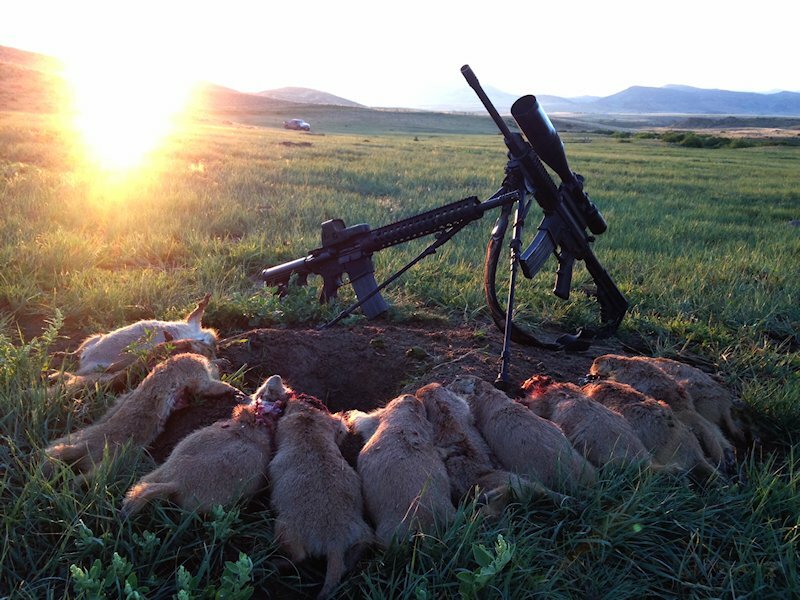 We had shot this town a couple years ago, and as before, it offered a lot of dogs at ranges out to about 650 yards. This time, we had another type of "doggie" to contend with, ones that kept walking in front of us as we were shooting. Here is a shot of Glenn patiently waiting for them to disperse. 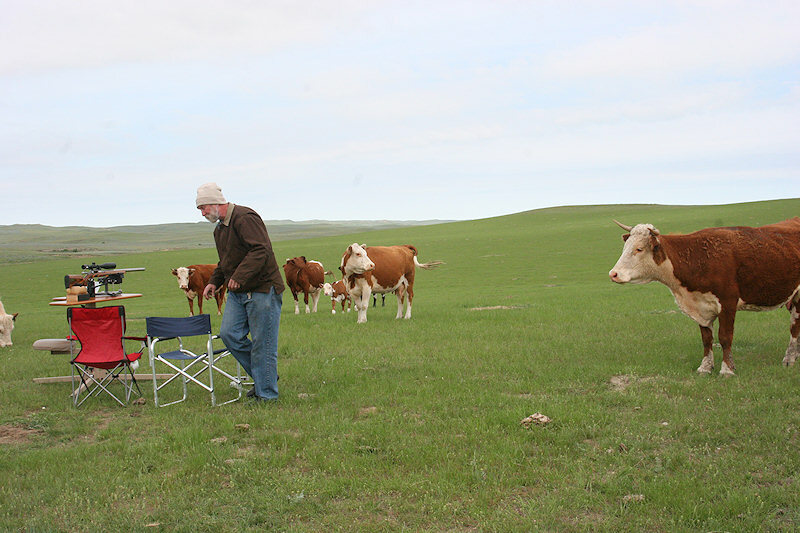 We had to continually stop shooting, and play cowboy to shoo them out of this part of the pasture. 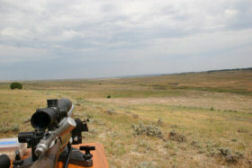 We were back shooting the great town outside of Oshoto, WY, with target opportunities out past 1600 yards. I had made a 1330 yard shot here a few years ago, and we both made 1005 yard shots in the early morning, before the wind picked up, using the BAT 6.5-284. These pictures were taken when we were using the AR-15 to have a lot of fun working over the dog town right below us into the gully, from about 200 to 650 yards. The AR-15 is a Rock River Arms EOP model, with a 24" barrel, and a shop made muzzle brake. 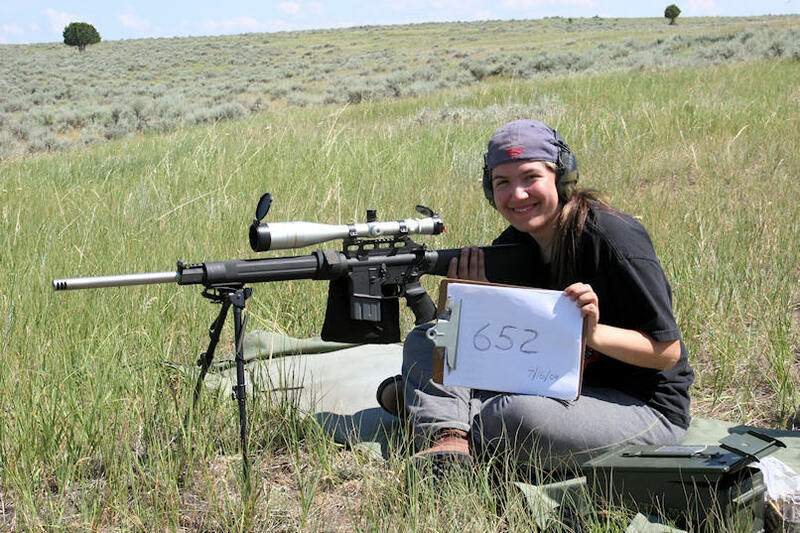 We were making repeatable one shot hits out to 400 yards, and 650 yard shots were usually made after one or two ranging shots. The trip was perfect. 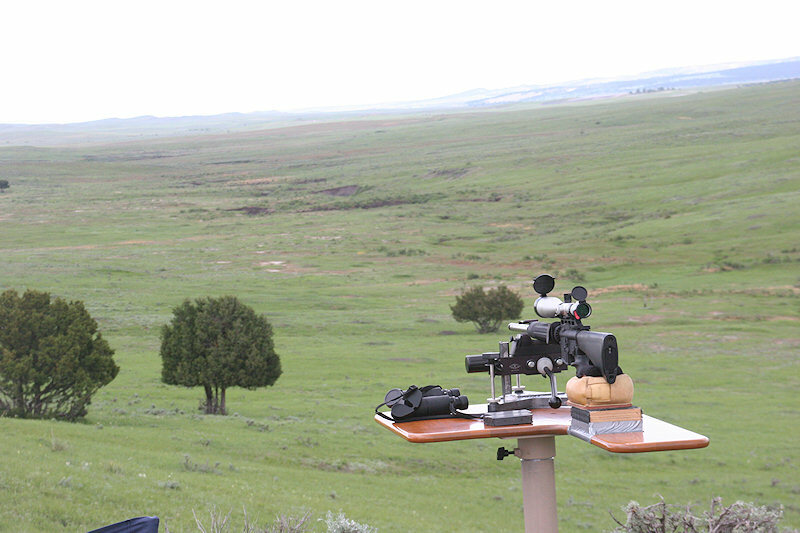 Good weather, great shooting, great hosts, and beautiful country. I'll be back again next year! 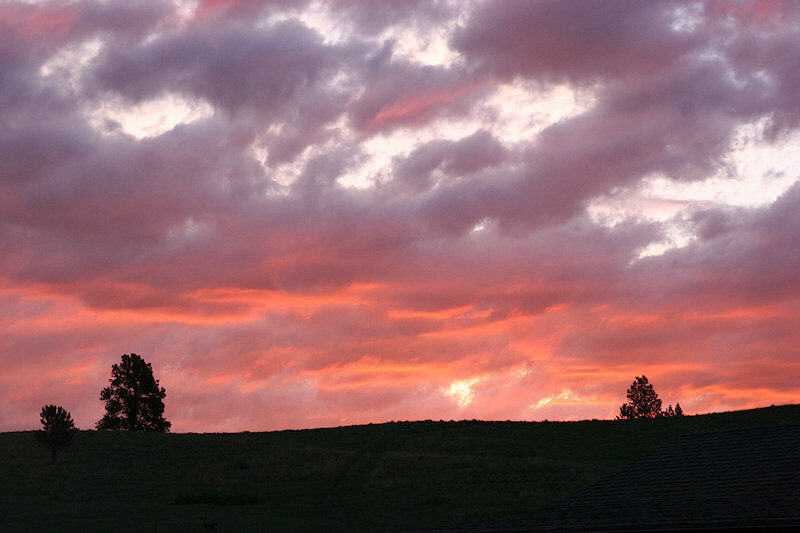 Here is the now traditional sunrise photo taken at the TRO, with a deer and a turkey low in the foreground.